Surviving some slight personnel problems, Eden's Curse returns for round four with this year's Symphony of Sin. A new singer has been found in Serbian vocalist Nikola Mijic (Alogia, Dreyelands), and a new keyboard player in Steve Williams (Powerquest, Dragonforce). What hasn't changed is the band's formula for their music: melodic hard rock with an often metal edge. And you get a lot of it, 13 songs at nearly 70 minutes. Songwriting has always been one of Eden's Curse's strength, being able to easily combine an abundance of melody with edginess. Of course, thisis backed up with large vocal arrangements, a strong rhythm section, and crisp guitar solos. 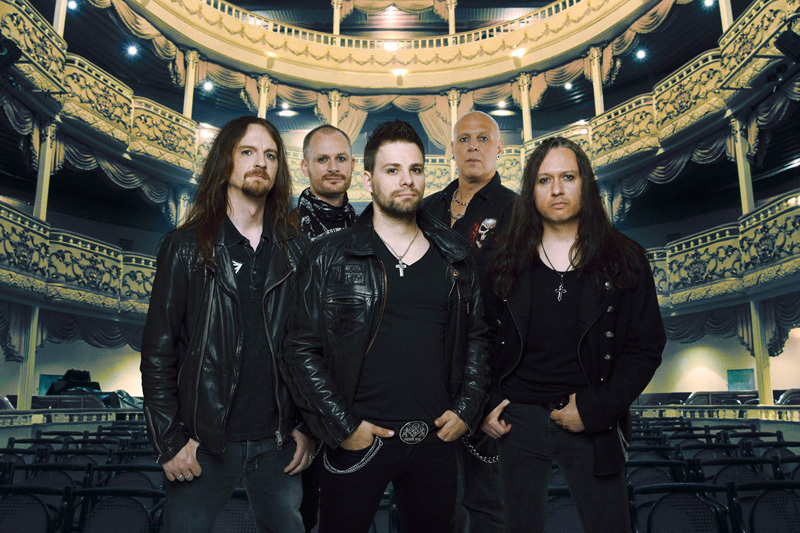 Blurring the lines between melodic hard rock and metal are songs like Rock Bottom, Sign of the Cross, Great Unknown, and the first single, Evil & Divine. Although I'm not sure that would have been my first pick. The very classy and catchy Unbreakable would have been my selection. Sometimes the tone of a song turns on a more AOR groove as with Turn The Page or Where Is The Love. Of course, Eden's Curse is also known for being more than a little bombastic at times. It comes with the title cut right at the start that features a wall of sound from a 46 piece orchestra. As for Mijic's vocal performance, he's a strong, clean, and melodic singer and fits perfectly with the band. So then, if you're an Eden's Curse fan, it's all good, if not simply more of the same. Hey, there's nothing wrong with consistency when it's this good. Recommended. 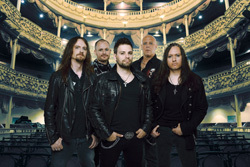 Eden's Curse returns in fine form with some new members delivering their trademark melodic hard rock with a metal edge.